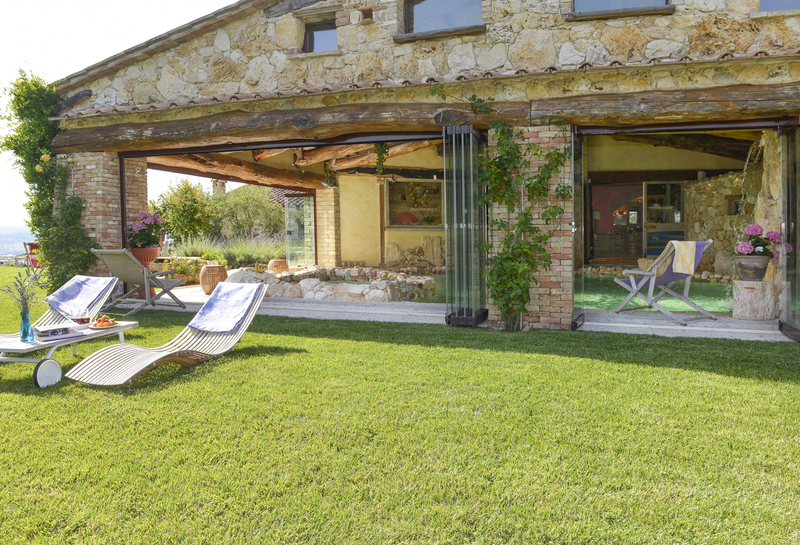 Villa Miavana is an authentic, farmhouse style villa, set within its immaculate grounds, offering rural tranquillity and seclusion, while no detail is overlooked, for guests every comfort. 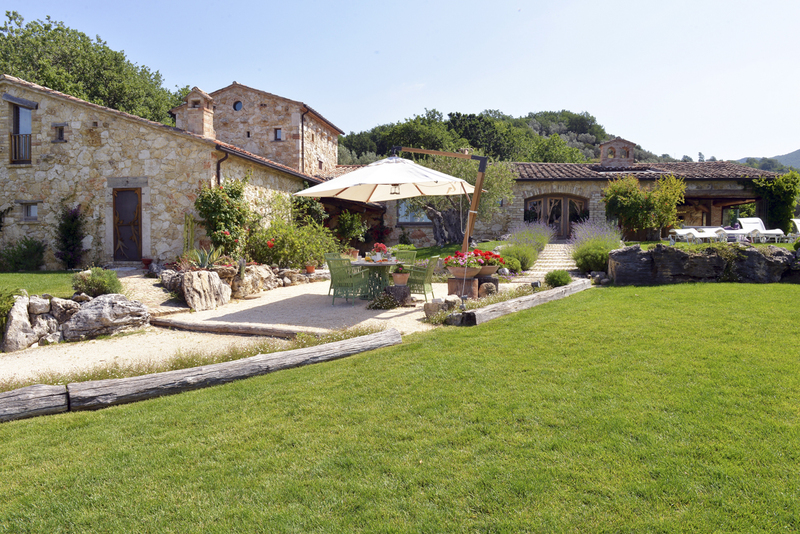 For a traditional, rustic Italian hideaway, fusing both privacy and a full range of staff services, guests will encounter at Villa Miavana, a world of discreet glamour and inherently Umbrian flavour! 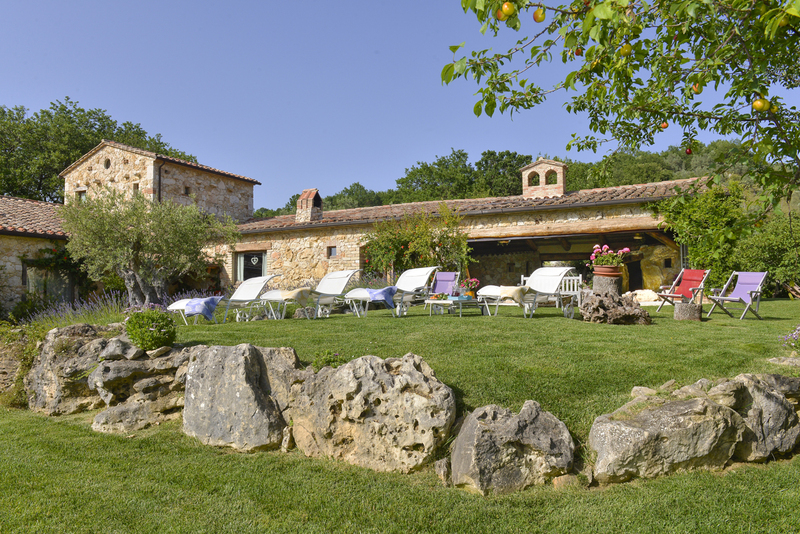 Full of rustic charm, the original stone buildings are tastefully restored, perched on a sublime hilltop position up a pretty flower-lined path amid fruit trees and olive groves. 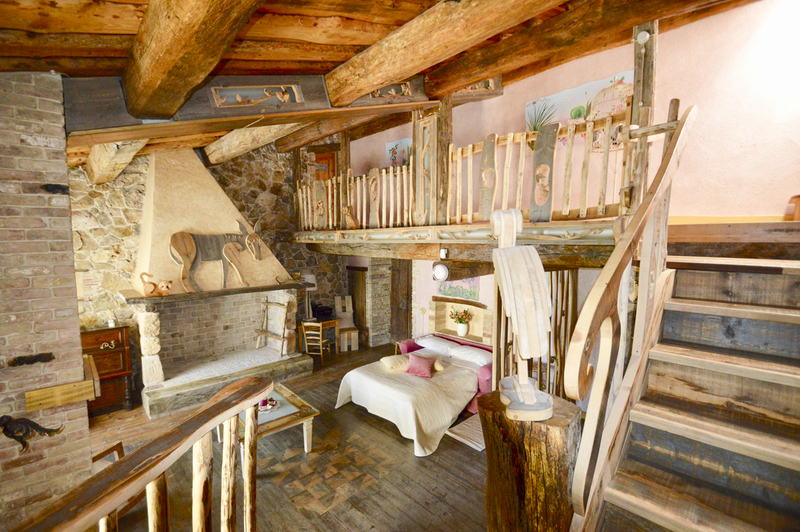 Arriving at Vila Miavana, guests will feel as if they have entered a rustic haven of preserved Umbrian beauty, finessed with every contemporary touch. 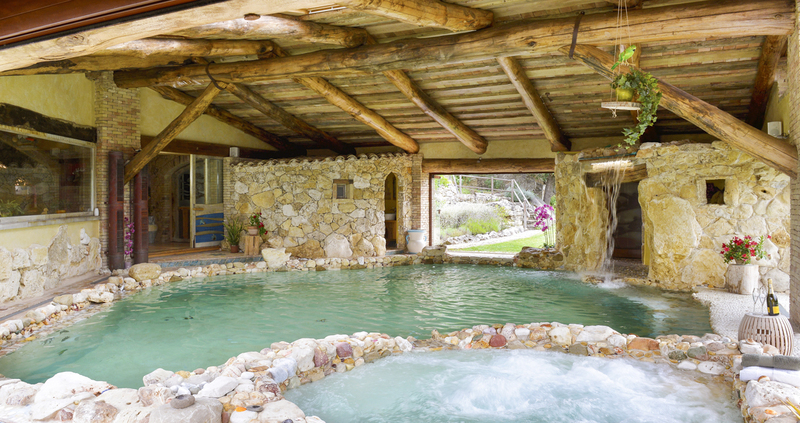 Immaculately executed for ultimate restoration, complete with its spa comprising stone set outdoor jacuzzi, hot tub, steam cave and tropical shower, staff are available on request to provide massage treatments. 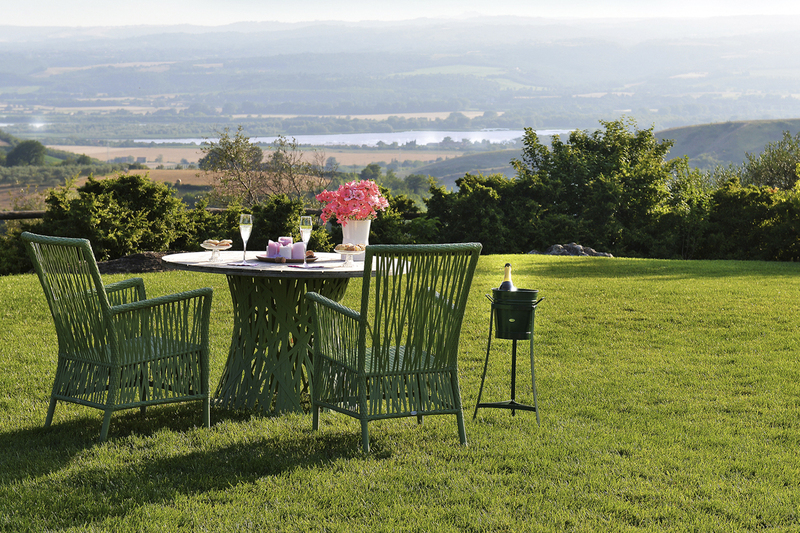 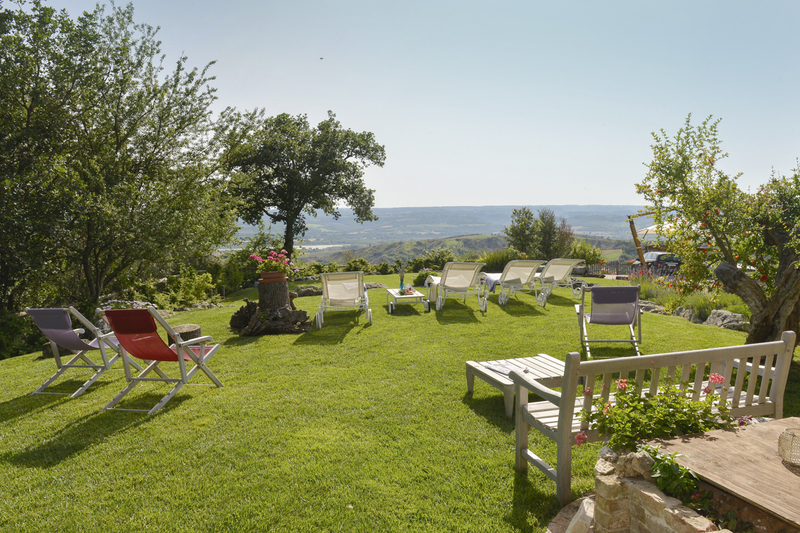 With wonderful views across rolling Umbrian countryside, this secluded spot comes into its own with the light softens and guests can marvel at stunning pink sunsets across the hills as they enjoy a glass of local wine and a chef prepared gourmet meal! 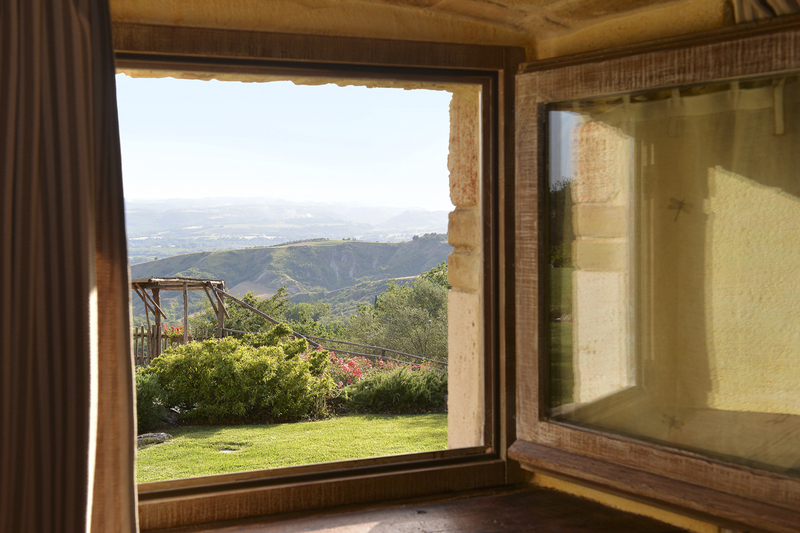 This home is designed for guests to escape from the strains of modern living truly. 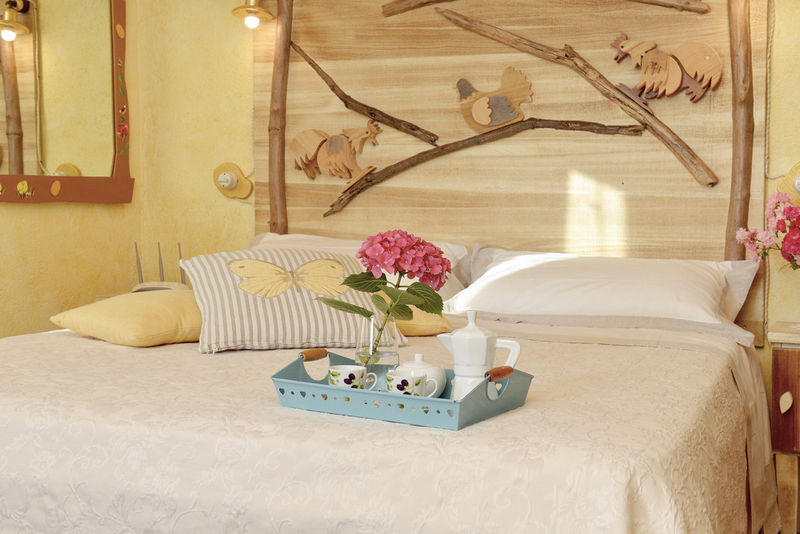 Each of the bedrooms has its unique features, its design quirks and characterful touches. 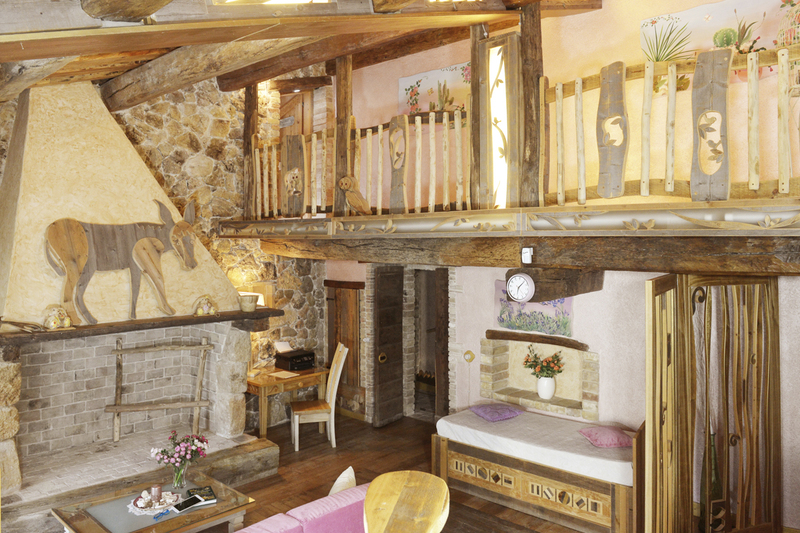 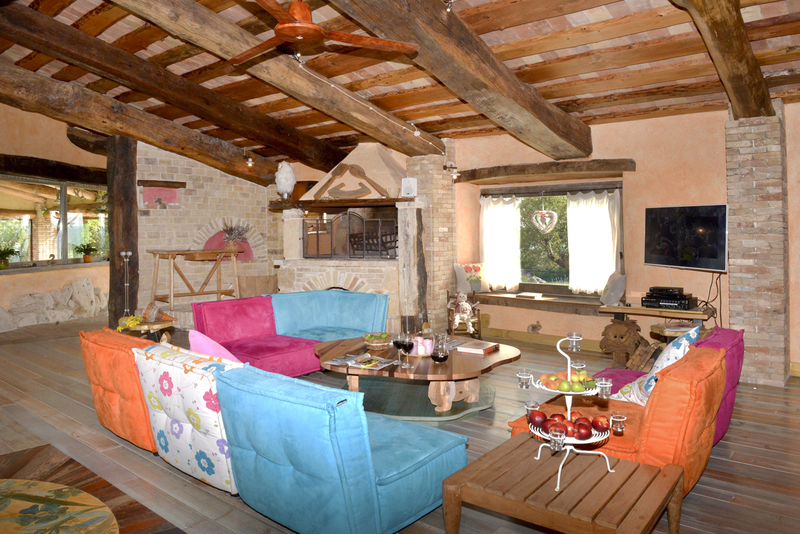 There are six bedrooms, four of which are doubles (one with two additional fold out beds, and one which has one optional extra bed), one twin bedroom and one single bedroom that comes with its charming mezzanine, meaning Villa Miavana is ideal for a large family group or extended family. 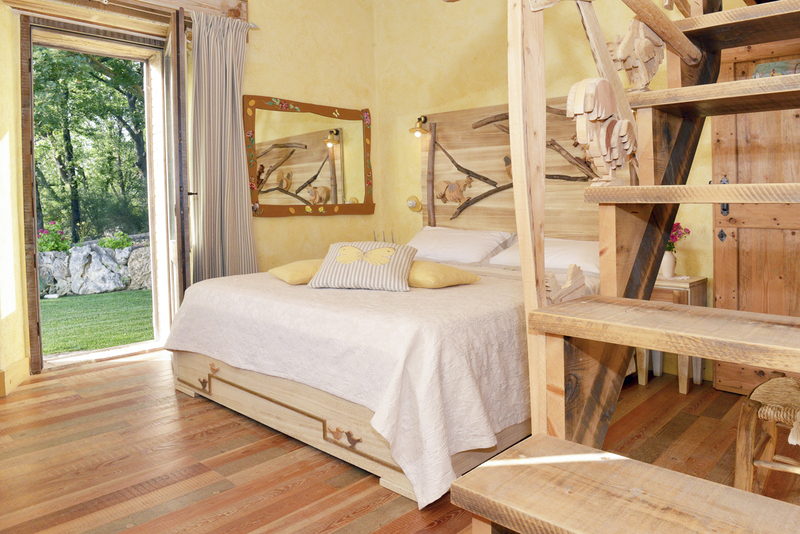 The bedrooms are full of individual style and charm; with solid timber used with an original and playful design touch, for example, the stand-alone timber bathtub, or fantastic staircase leading to mezzanine - this is a home with ample eccentricities and surprising touches, whilst every hallmark of quality is present: crisp quality bedlinen, chromotherapy shower, fluffy towels. 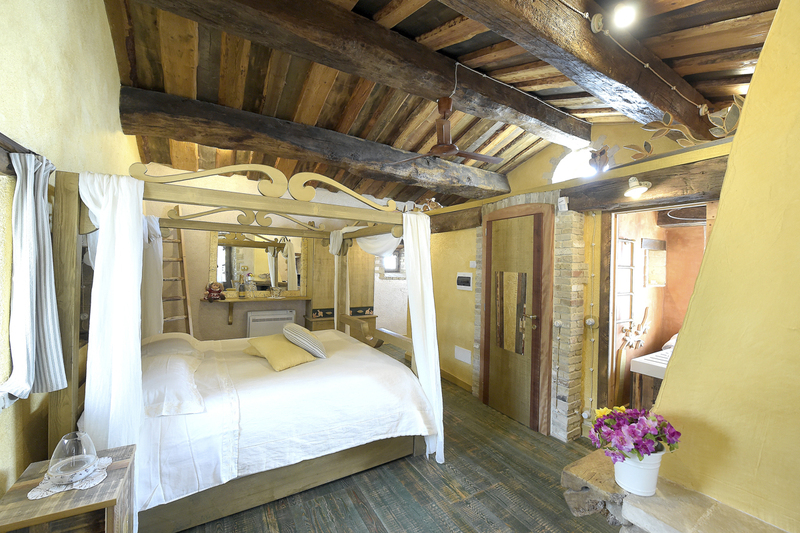 The bedrooms are cosy, infused with original flavour with exposed brick fireplaces and a blend of local raw materials such as porcelain, timber and stone within the most sumptuous of finishes. 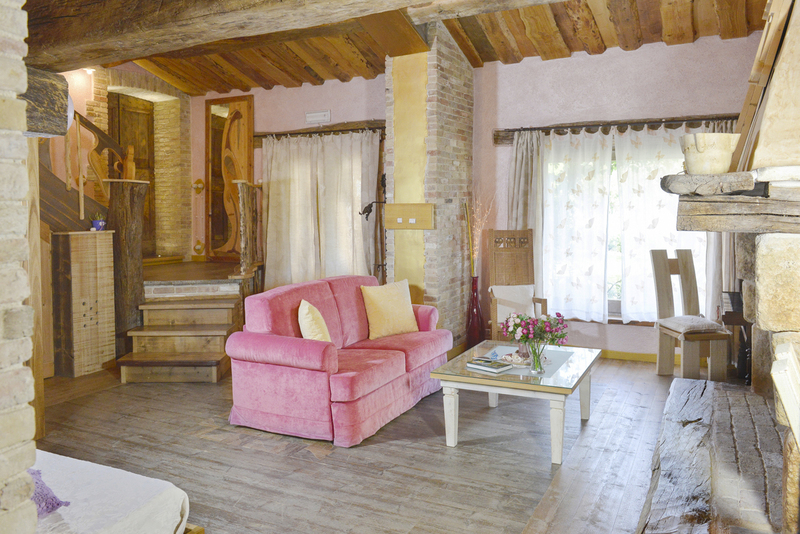 The living space at Villa Miavana is well proportioned, again with the characteristic use of local raw materials, while all the essential modern touches are present! 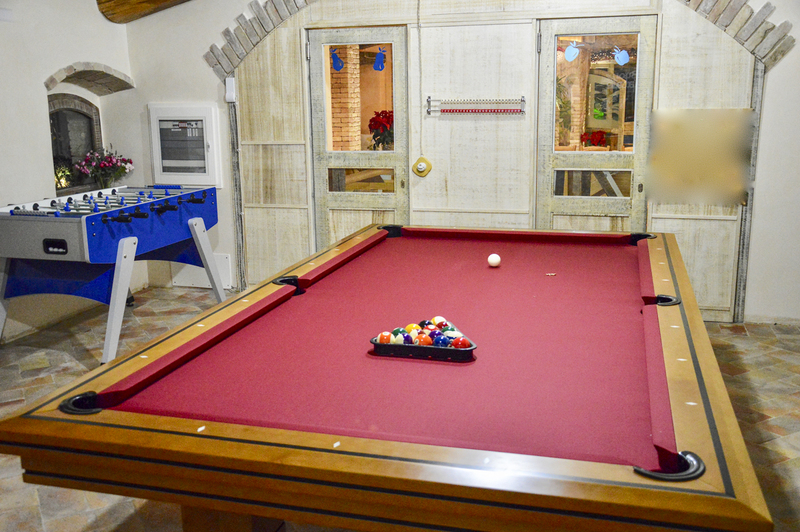 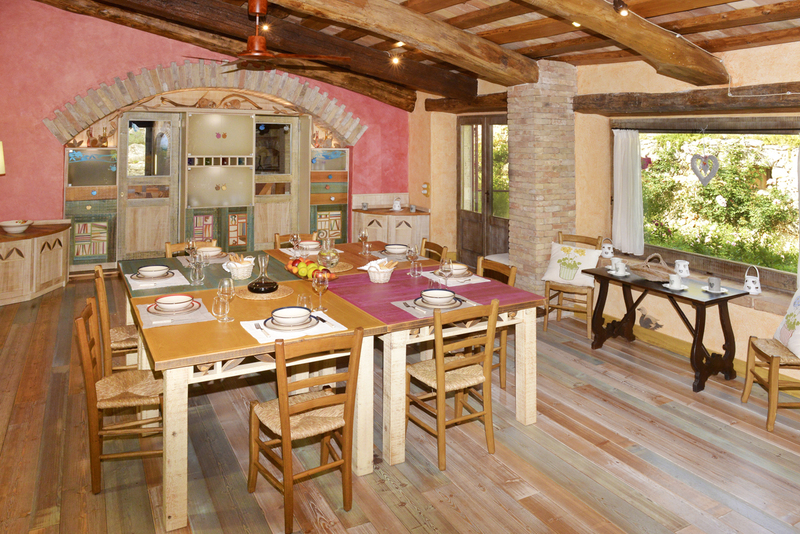 Ideal for friends and group time, the living and dining space are part of a single area while being divided by an impressive stone arch, leading to the kitchen which is every inch the rustic Italian farmhouse kitchen. 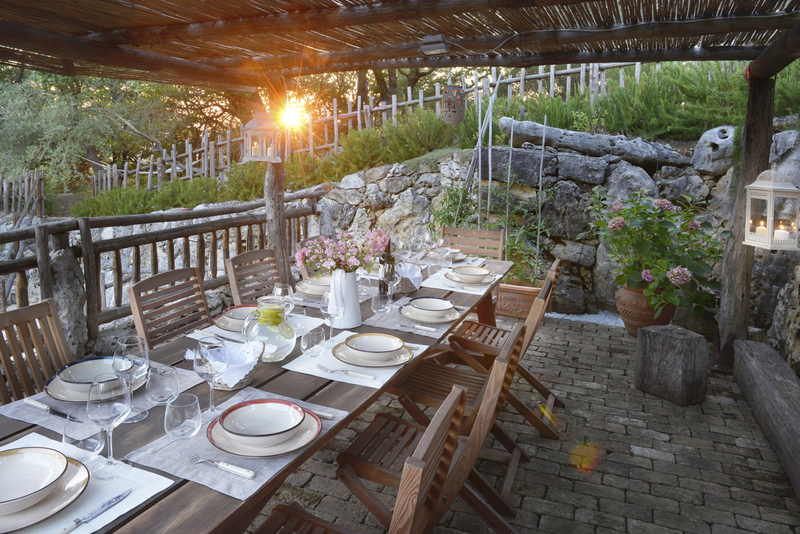 Dining al fresco is a stylish affair at Villa Miavana, with a gorgeous dappled stone courtyard and dining furniture surrounded by the fragrant gardens, bursting with vibrant colour. 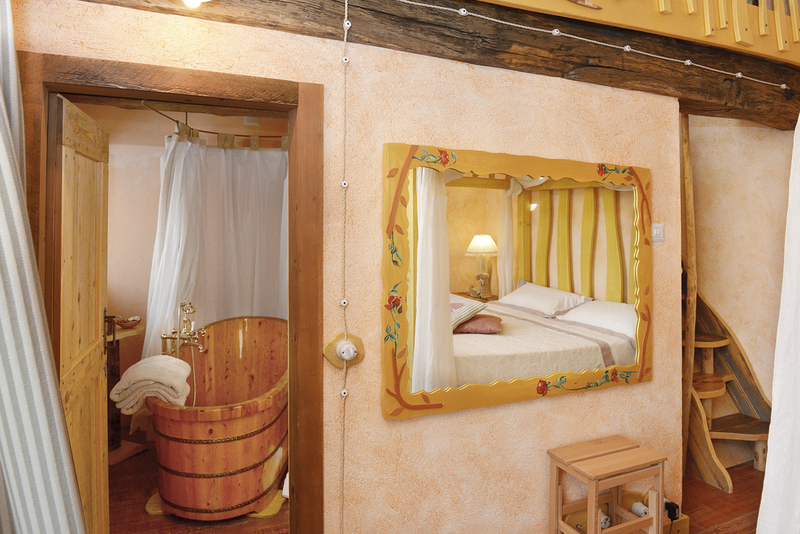 At every turn, Villa Miavana is surprising and unique: its splashes of colour against the neutral, original backdrop, the contemporary touches within such a rustic home, the wonderfully dim-lit private spa, this is a holiday home with a difference. 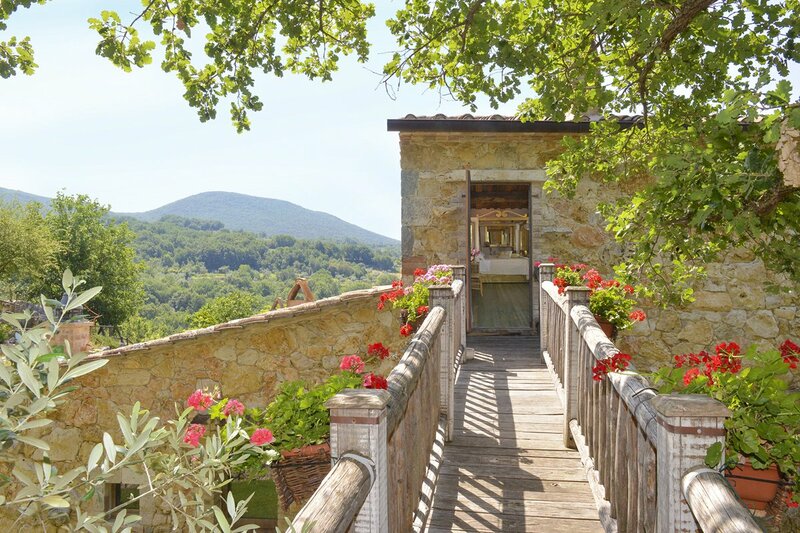 Original architecture blends with contemporary design panache at Villa Miavana, to provide an exceptional get-away offering with the best in five-star hotel-grade services, within the privacy of the group’s own secluded, rural holiday haven! 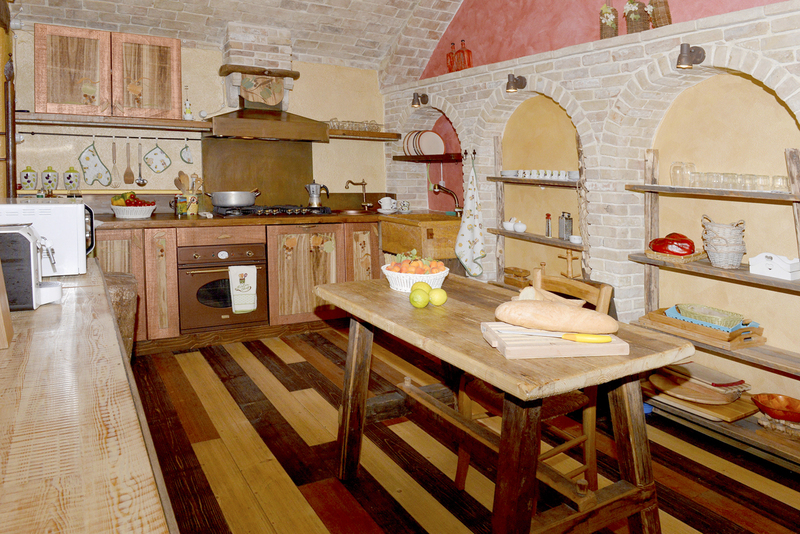 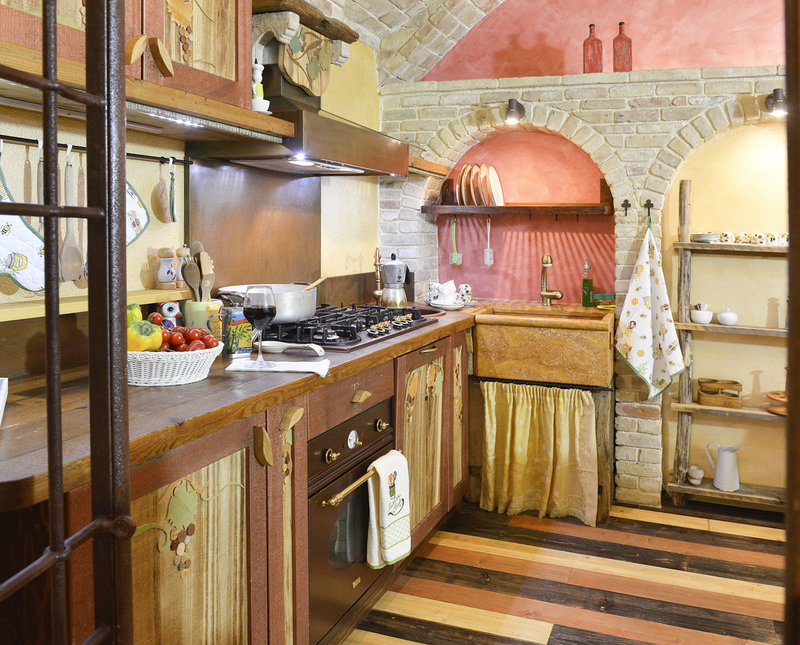 All appliances are top of the range, making self-catering easy, or, when guests would like a night off, the villa’s chef is on hand to prepare a gourmet meal - what a treat! 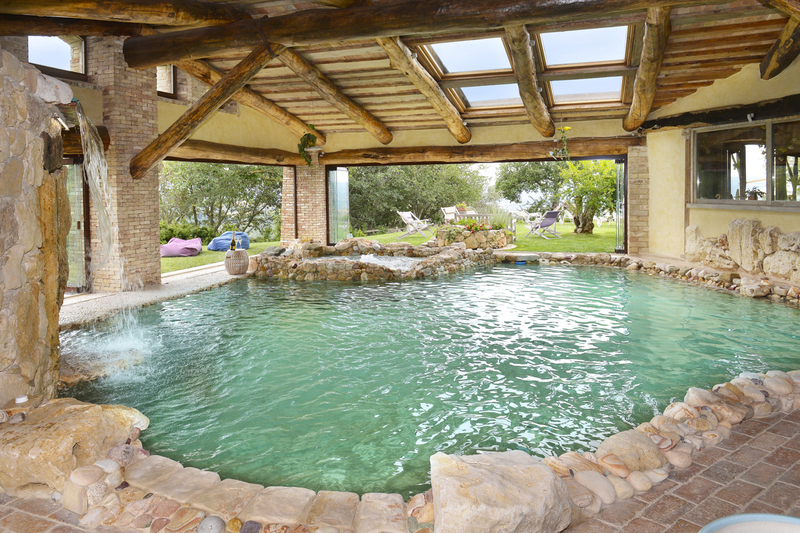 Villa Miavana is set in a hilly, rural part of Umbria, surrounded by unspoilt woodland with beautiful panoramic views. 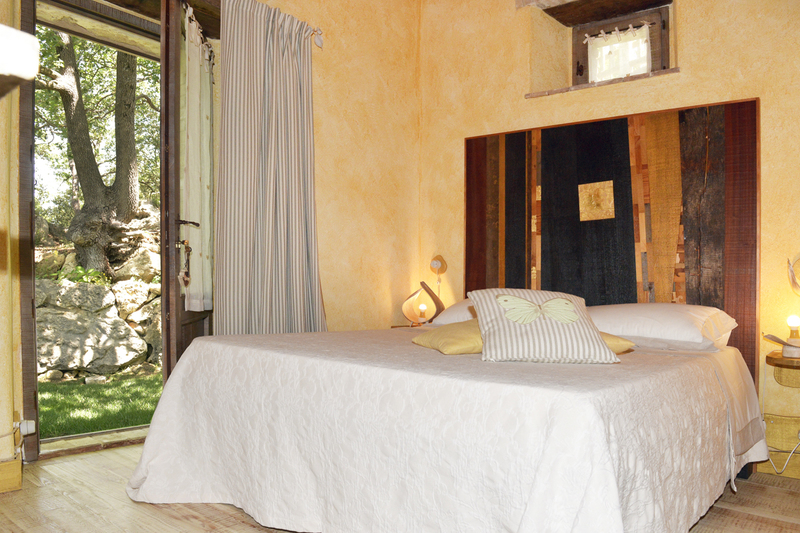 Alviano is a nature reserve and is known for its spectacular natural beauty. 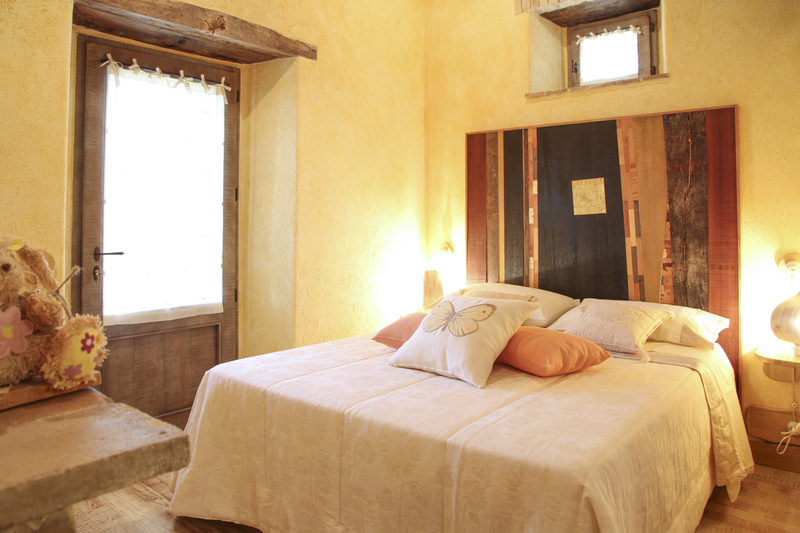 The region is scattered with pretty, picturesque Umbrian villages, while the area has a rich cultural heritage. 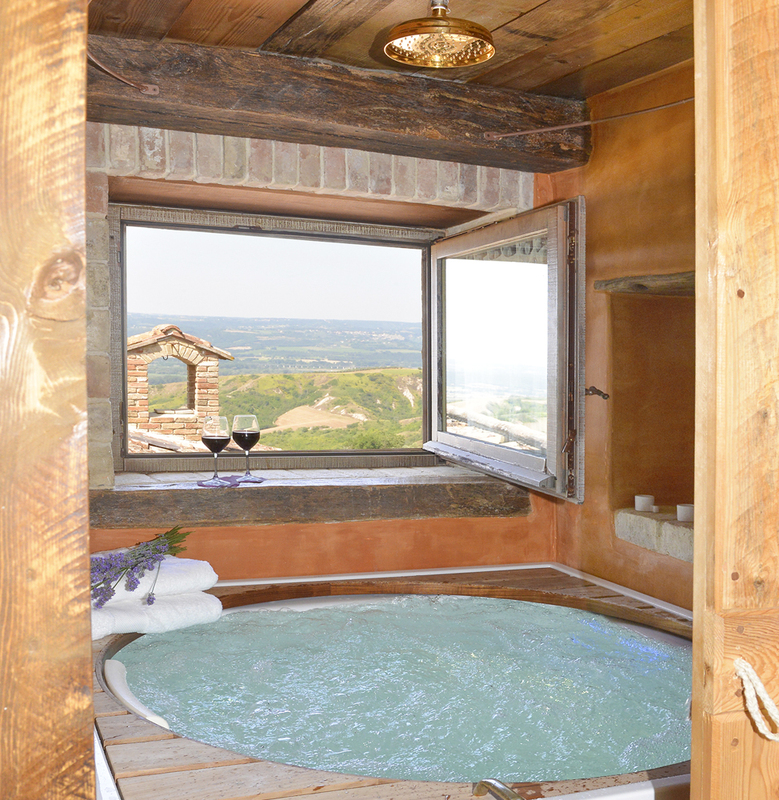 From thermal pools to medieval cathedrals and olive oil museum, Umbria has an intriguing amount of history to discover.